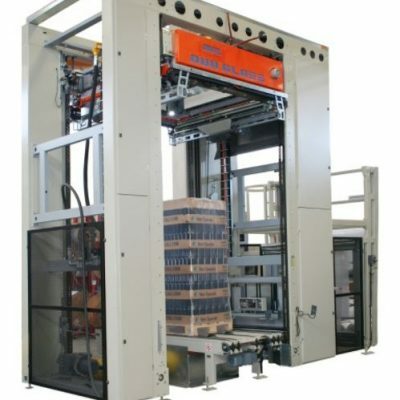 The automatic thermoshrinking oven model FT 20 is a machine which uses a single workstation to package products through thermoshrinking. 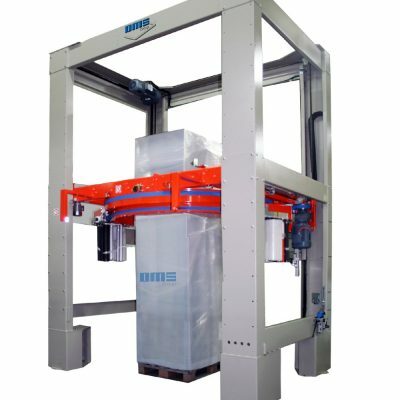 The pack must be positioned on the rotary platform with the use of appropriate means and it can be easily centred thanks to the guides thereon. 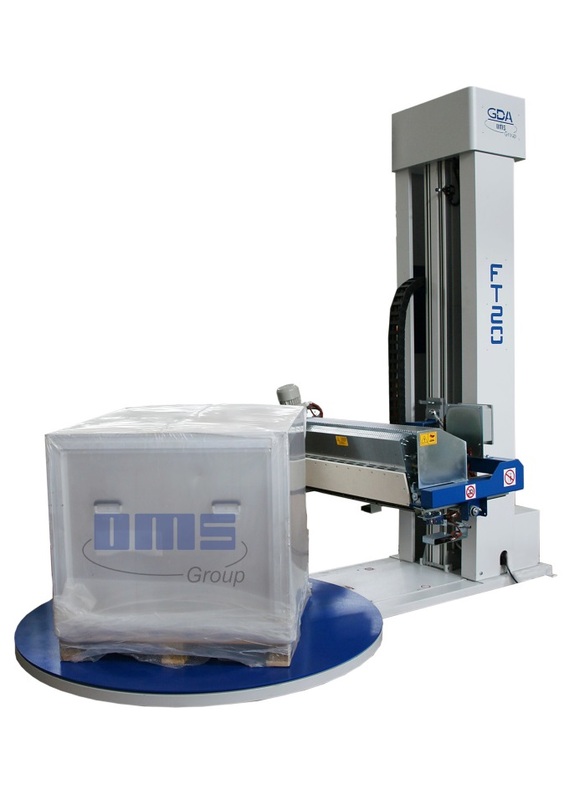 The machine thermoshrinks the film around the product which turns by means of a gas fed hot air generator. 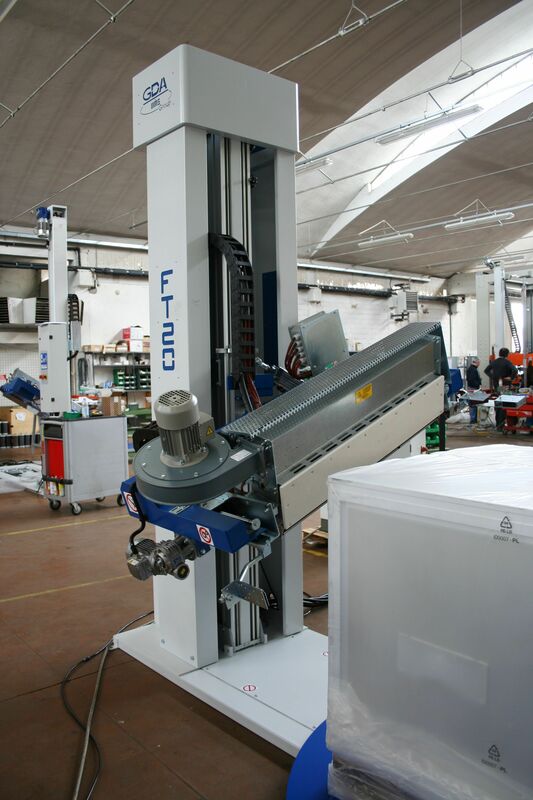 All automatic and manual use and maintenance functions are controlled by a PLC. 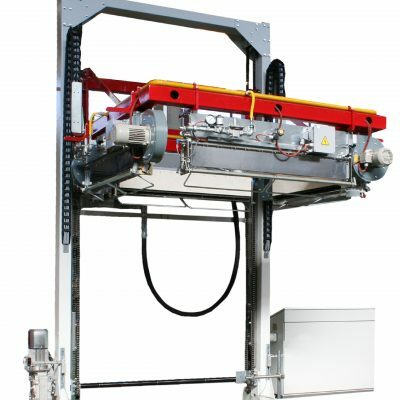 The burner is on board a carriage which slides along an extruded aluminium support column and is moved vertically by an inverter controlled gear motor. 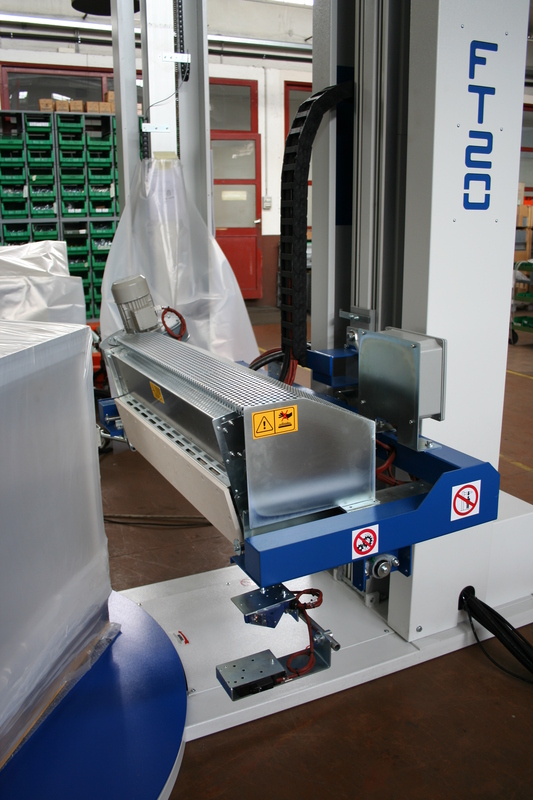 Rotation always stops in the same place – thanks to a proximity switch – thus facilitating pack loading and unloading operations. 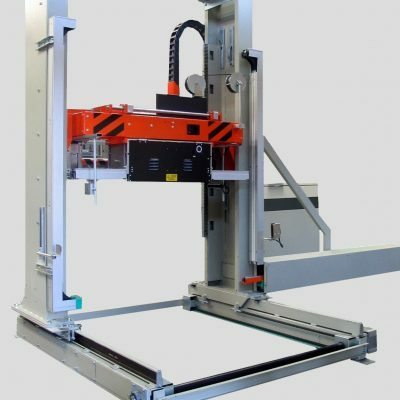 § The ramp is equipped with a pneumatic cylinder which allows it to turn and to bring it from the inclined to the horizontal position. 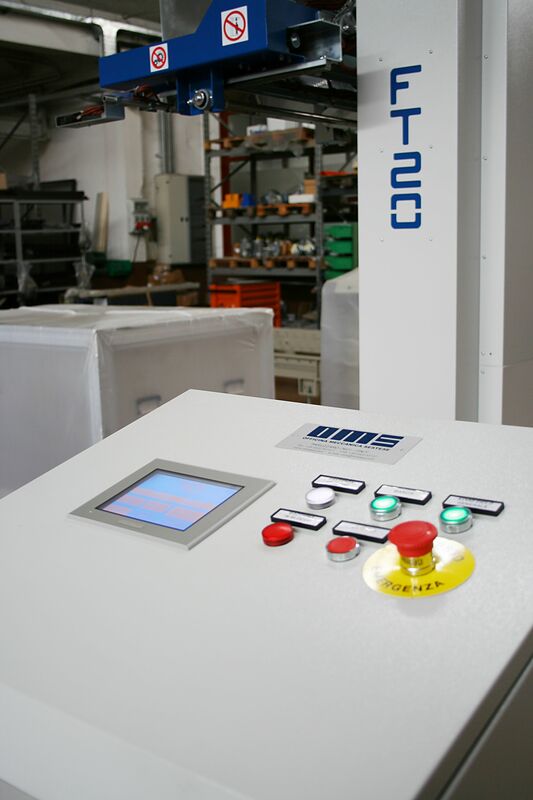 § Thanks to the use of a PLC and a touch panel it is possible to optimize the cycles and to rely on excellent diagnostics.